This week, Integrity Botanicals launches a cult-favorite in the green beauty world—Lily Lolo! This vegan, organic makeup line offers makeup that is healthy and high performing, and the colors range from practical to glamorous. The best part? It’s super easy to use, even for the makeup-challenged. My go-to fresh faced look for everyday is easy to achieve with four gorgeous products—the Black Vegan Mascara, Pressed Blush, Pressed Eye Shadow, and Natural Lip Gloss. I’ve got a serious makeup crush on Lily Lolo, and I think you’re going to love it, too. The Black Vegan Mascara by Lily Lolo is one of the brand’s most sought after and talked about items. I’d read countless reviews that promise this mascara is *the one* and that you shouldn’t give up on natural mascara until you try Lily Lolo’s. Of course, I couldn’t wait to try this vegan, nontoxic classic. The plant-based formula is creamy and fairly thick, and I have to work it through my lashes carefully because it builds up and dries quickly. While it takes a bit more finessing to get a smooth application, the final result is larger than life lashes that make people take notice. This mascara makes my lashes look fuller than they actually are, and it lengthens, too. The mascara is quite pigmented and long lasting. My lashes don’t droop or fall flat later in the day, and I haven’t experience a single smudge or mascara run. It’s a definitely a winner! Lily Lolo also offers pressed compacts for blush and eye shadow, which is a huge plus. I love that their organic mineral makeup can be purchased in compacts because it just makes life easy. The travel friendly compacts are slim and lightweight, and they include mirrors for touch-ups on the go. I absolutely love the size and the sweet but modern aesthetic. I tried the Pressed Blush in Tickled Pink, which is a sheer, pale peachy pink that is super flattering and oh so natural looking in the best way. 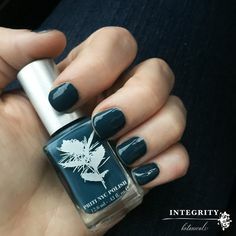 This is definitely a color I could reach for day after day. The color is buildable so you can go soft and subtle or amp it up for a brighter pop. Lily Lolo describes the finish as a sheen blush, as opposed to matte (which they also offer), so you get a bit of glow/shimmer but no sparkle. As someone who does not want glitter-face, this is tame enough for everyday wear. The Pressed Eye Shadow in Buttered Up is a demi-matte champagne color that brightens the eyes—the perfect compliment to the natural blush color mentioned above. The formula is so lovely and makes for a smooth application. I’ve noticed with some pressed natural eye shadows that it’s difficult to get a brush to pick up the color—not the case here. The color lifts up and is easily blendable and buildable. The formula is enhanced with beautiful ingredients like pomegranate and argan oils, and it stays put for long lasting wear with no creasing. I can’t wait to try additional colors—Rolling Stone, In For a Penny, and Stark Naked are next on my wish list. While I wouldn’t describe myself as a big lip gloss lover, I’ve been totally smitten with the Lily Lolo lip gloss. Peachy Keen is the color that’s in heavy rotation chez moi, and it pairs perfectly with the Tickled Pink Pressed Blush and Buttered Up Pressed Eye Shadow. What I love about the gloss is that it is on the thicker side, so it stays put for a while, but it isn’t tacky or sticky in the least. It’s very comfortable and moisturizing to wear, and the Peachy Keen color is a lovely shade that is subtle enough for everyday wear. Overall, Lily Lolo is a welcome addition to my makeup palette, and I plan to collect more from this green beauty brand. 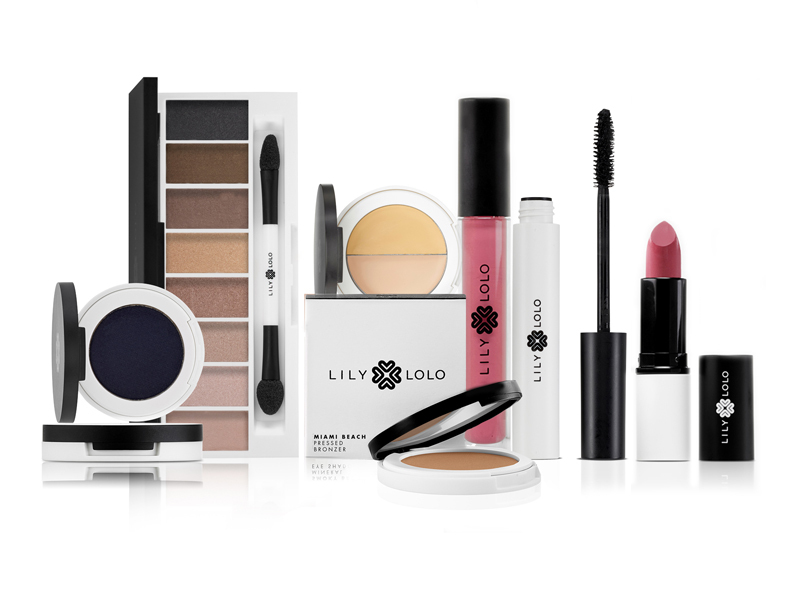 If you’re already a Lily Lolo fan, I’d love to hear what you enjoy from this pretty, nontoxic makeup line. 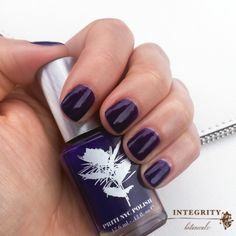 Lily Lolo launches at Integrity Botanicals later this week, so get ready to stock your makeup bag! 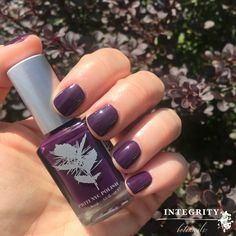 Make sure you’ve signed up for the Integrity Botanicals newsletter in order to receive a special Lily Lolo gift with purchase offer, and don’t forget to check the Integrity Botanicals YouTube channel this Friday. Everyone’s favorite makeup artist, Ashley The Green Bunny, will have a new tutorial featuring Lily Lolo makeup!